Just For Kids is located in Chicago’s Beverly area. We are located centrally to many attractions that your child gets to experience while on field trips and are surrounded by beautiful parks. We are close to I-57 and within walking distance from the Metra Trains, making it easy to take your child to exciting destinations and fun activities. Our child care center has over 5,000 square feet of space for your child to play in. We have an open court gymnasium, giving your child plenty of room to do just about anything they set their heart on. Organized after school programs, sports, arts, and more; your child will look forward to coming to Just For Kids and you will feel good about knowing where they are. Our before and after school program is open from 7 in the morning, until 6 at night. We serve all meals while your child is with us including breakfast, lunch, dinner, and nutritional snacks throughout the day. We provide transportation from school to our facility so you never have to worry how your child is going to get here safely. Visit our transportation page to see a list of school zones that we currently pick up at. If your child is outside one of our districts please call us; we would be more than happy to make accommodations when necessary. 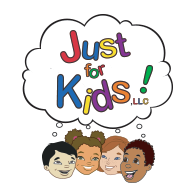 Just For Kids is a place that you can count on to not only watch over your child, but to build a strong foundation of skills, education, and fun. Sign up today for a brighter future.